The Tearte Family Foundation (TFF) was founded in 2012 with initial funding by Curtis and Jylla Tearte. It is an approved 501c(3) private foundation. The TFF works through partnerships to identify students with academic promise and leadership potential to become Tearte Scholars and receive leadership training, personal development through coaching and mentoring and financial awards to complete high school and pursue post-secondary education, Global Studies, STEM and career goals. Current partners include Brandeis University, Teach for America, 100 Black Men, Emory University Goizueta Business School Consortium Study Abroad Program, Howard University, Livingston College, Hallahan Catholic High School for Girls, Posse Foundation, African Leadership Academy, Usher New Look Foundation, Omega Psi Phi Fraternity and Zeta Phi Beta Sorority. Mr. Tearte is the Chairman of the Tearte Family Foundation, and a business transformation and technology leader. He worked for IBM over 30 years and rapidly progressed through four executive levels with responsibility for multiple industry sectors and clients across the key global revenue-generating areas of the company. He also served on the IBM Worldwide Management Committee, comprised of the top 60 IBM senior executives. After retirement in 2013 he formed Tearte Associates, a firm providing investment management, business consulting and educational opportunities via the Tearte Family Foundation. Tearte holds a Juris Doctorate from the University of Connecticut School of Law, a BA from Brandeis University, where be majored in African American Studies and studied International Affairs and Political Science at Howard University Graduate School and the University of Pennsylvania, Wharton School. 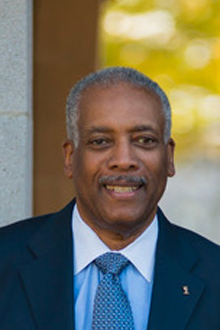 He serves on the Brandeis University, Board of Trustees, and is the Secretary of the Board, and the University of Connecticut Law School Dean’s Advisory Committee. He is a member of the Executive Leadership Council. Dr. Tearte was one of IBM’s top women executives with more than twenty years of various leadership assignments that spanned the globe. A nationally acclaimed, award winning author, executive coach and consultant, she is recognized for her innovative and insightful work with clients. Her book, Encore Leadership: Transforming your Time, Talent and Treasure into a Legacy that Matters translates into practice the scholarly research of her 2009 dissertation which explored the transition competencies of Black executives. She earned her PhD from Benedictine University, MBA from Indiana University as a Consortium Fellow and her BS in Math from Livingstone College. As COO for Tearte Associates, Jylla is an Encore Leader who utilizes her vast network of community resources to form collaborative, mutually beneficial partnerships. 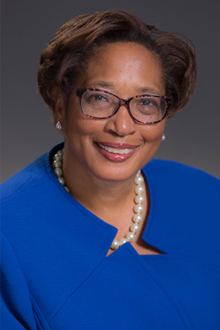 She served as the 20th International President of Zeta Phi Beta Sorority, Inc. and instituted The Pearlette Affiliate for girls 4-8 years of age. She is chairing the organization’s Centennial Celebration in 2020 to honor the Sorority’s 100 years of service, scholarship and sisterhood. She was awarded the Wallace Jones Lifetime Achievement Award from the Consortium for Graduate Study in 2014.